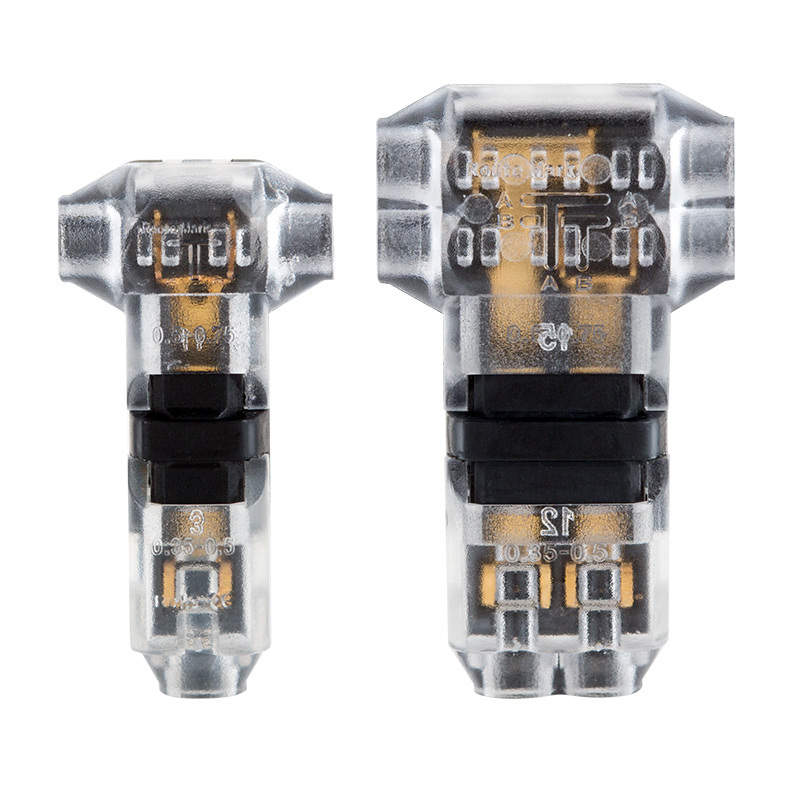 Easily splice wires without stripping insulation with single-channel or dual-channel "T" tap connectors. 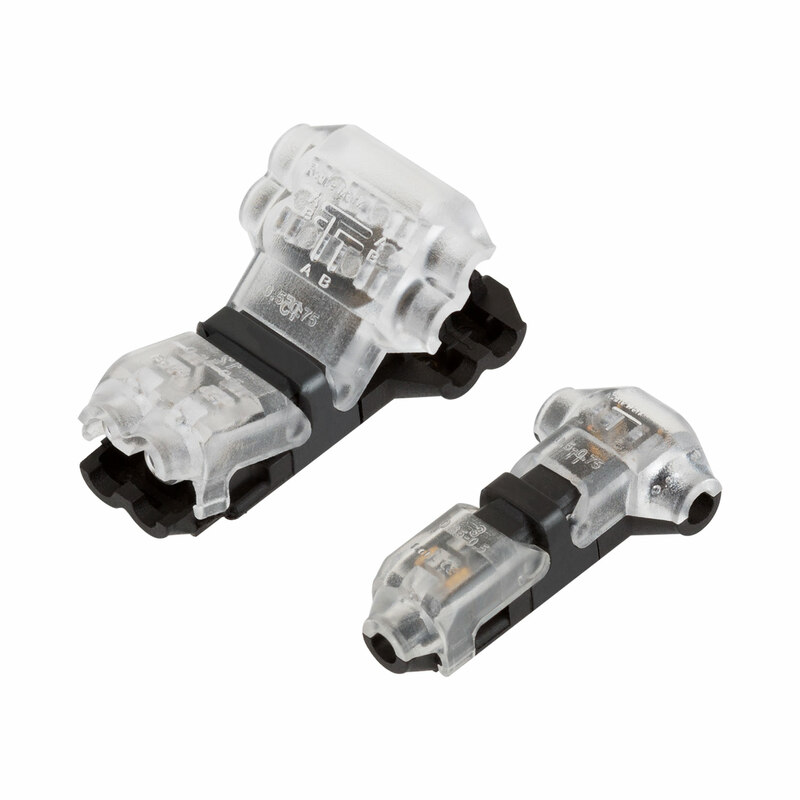 The non-weatherproof, insulated wire splice connectors are designed for 24-18 gauge wire and have a secure snap closure to hold wires in place. 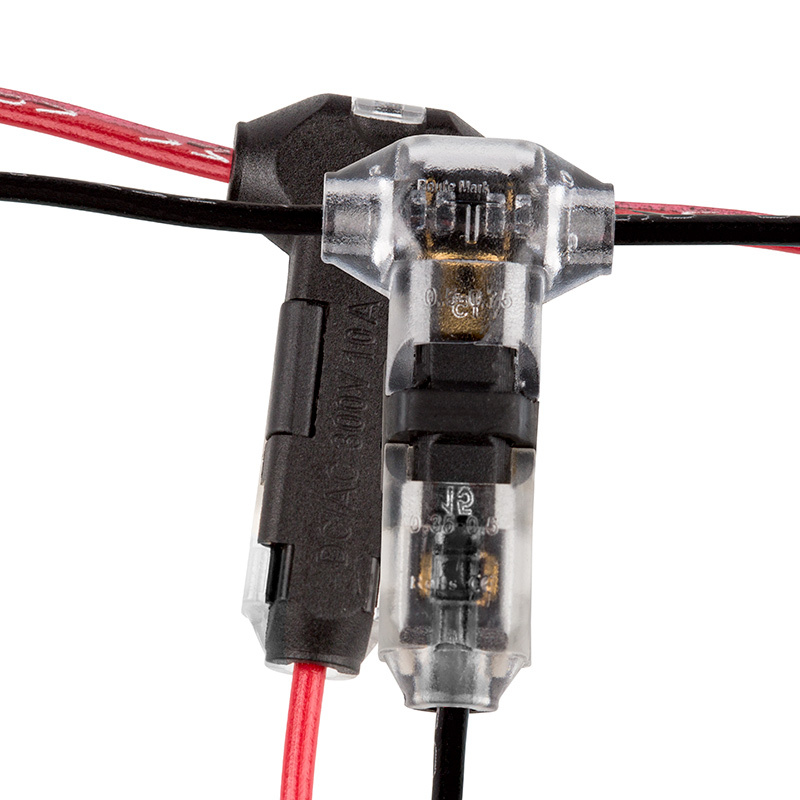 The clear design allows you to ensure that wires are connected. 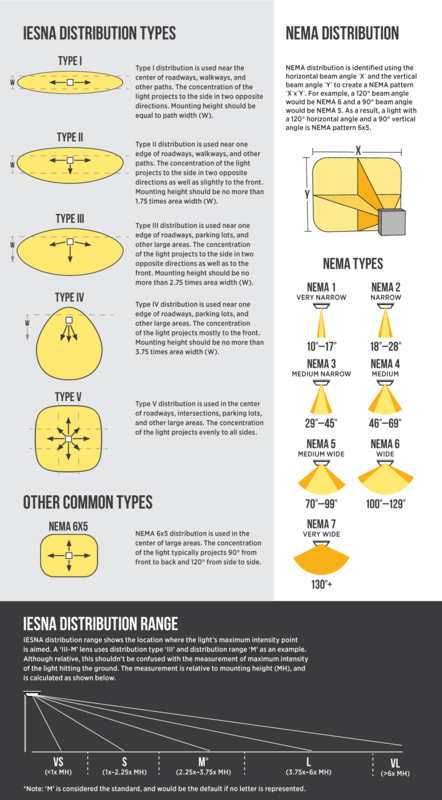 Use multiple combinations of single- and dual-channel connectors to reach your installation needs. 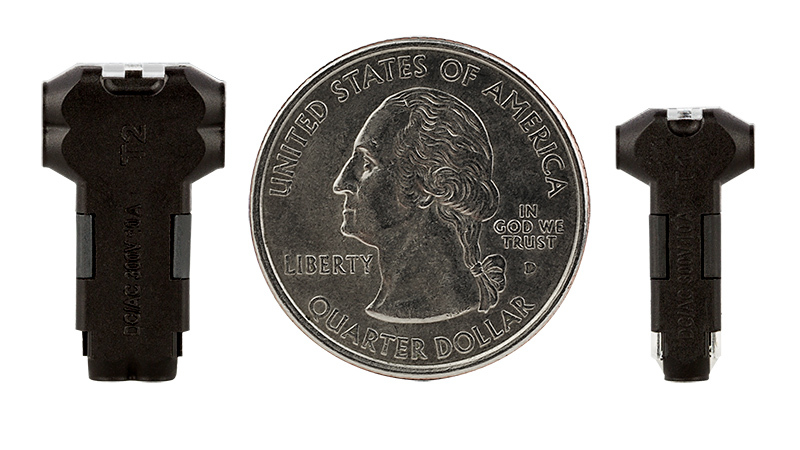 Great for adding wires to an existing installation or starting a new one. Rated for 10 Amps at 300V AC/DC. Note: Use pliers to close connector after wires are inserted. 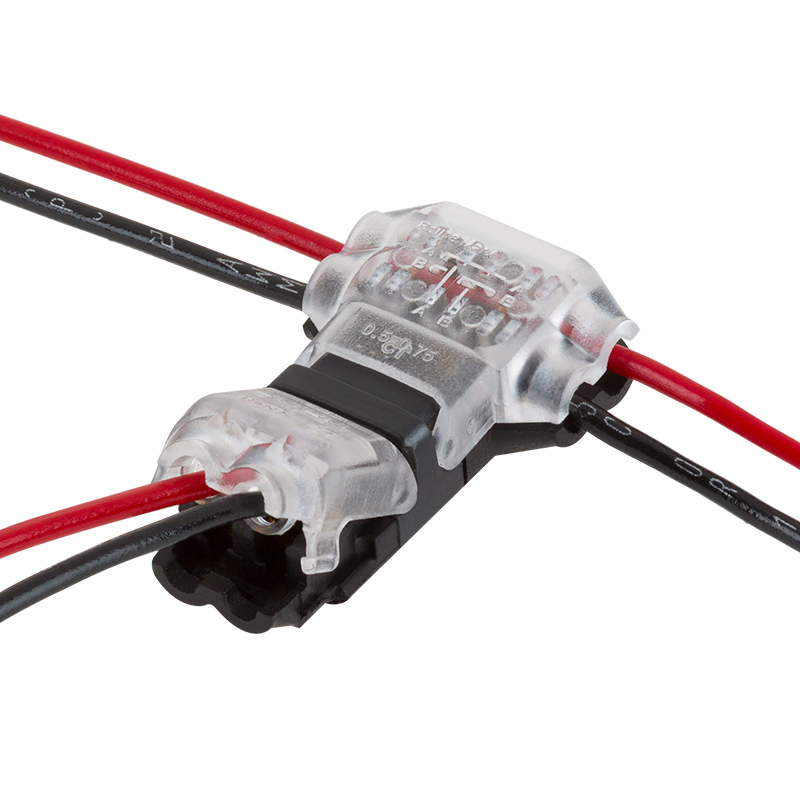 Some 18-gauge wire has extra insulation; for best results, strip back the wire before inserting it into the wire splice connector. We used these to connects led light strips on a bookshelf with five shelves. Didn't want to solder all the connections. Works great. But being amateurs could have used some type of information/directions on how to use. But we did figure it out and was very simple. I bought 2 of T taps for a new installation for under cabinet lighting. I used these rather than wire nuts thinking it would be a more secure and professional looking connection. The wires were difficult to install, especially the 4 wires across the top of the T. It was also difficult to get the closure to snap closed. 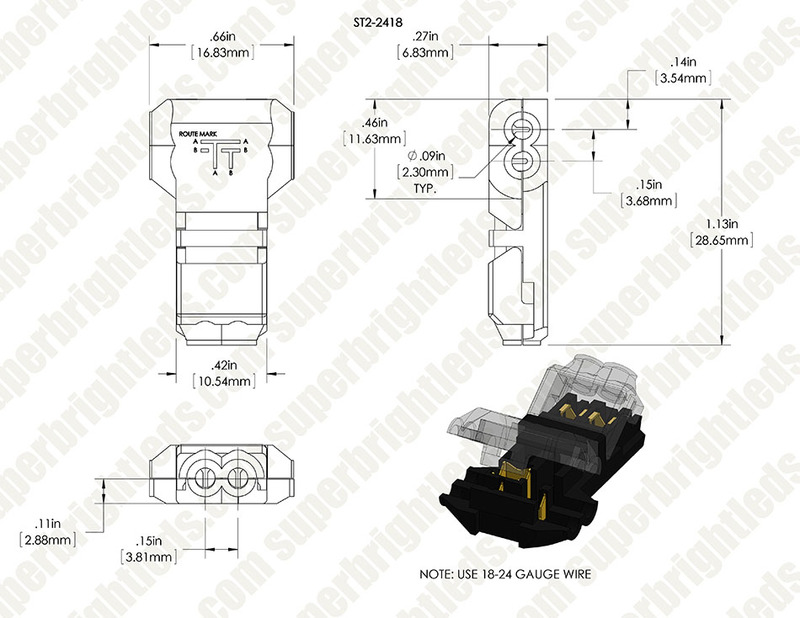 (I am using 24 AWG cable. 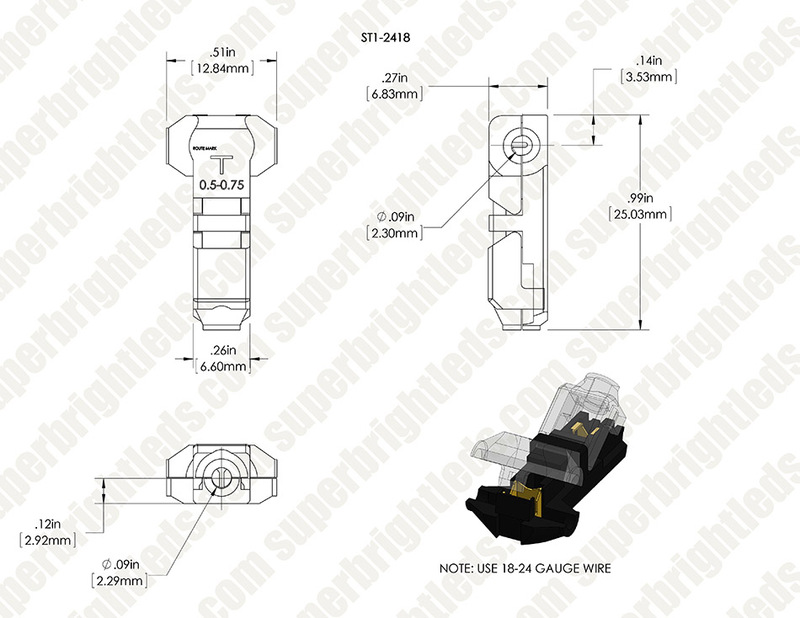 The T taps are listed as having capability up to 18 AWG cable.) Finally, I wasted over an hour trouble shooting my non-working LED strips only to find that I did not have conductivity through the Tt taps. I am throwing them away and using wire nuts. 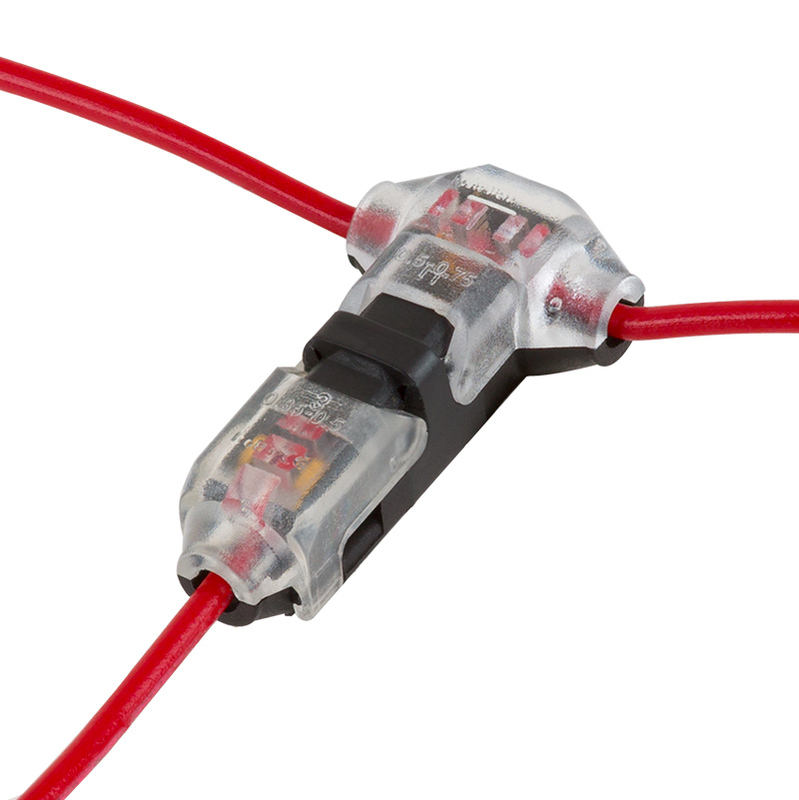 Connectors work better when wire is stripped and the connector is closed using a plier. I was looking for a way to tap into the wiring on my motorcycle so that I could add some LED lights. I didn't want to tap in multiple times just to add one set of lights, and everyone knows that it takes two wires to set up lights, one for the hot and one for the ground. One of these two-wire taps worked great! If you have 18 gauge wires in your bike the connection is tight. You probably will need to use a wire crimping tool to squeeze the tap until it clicks securely. 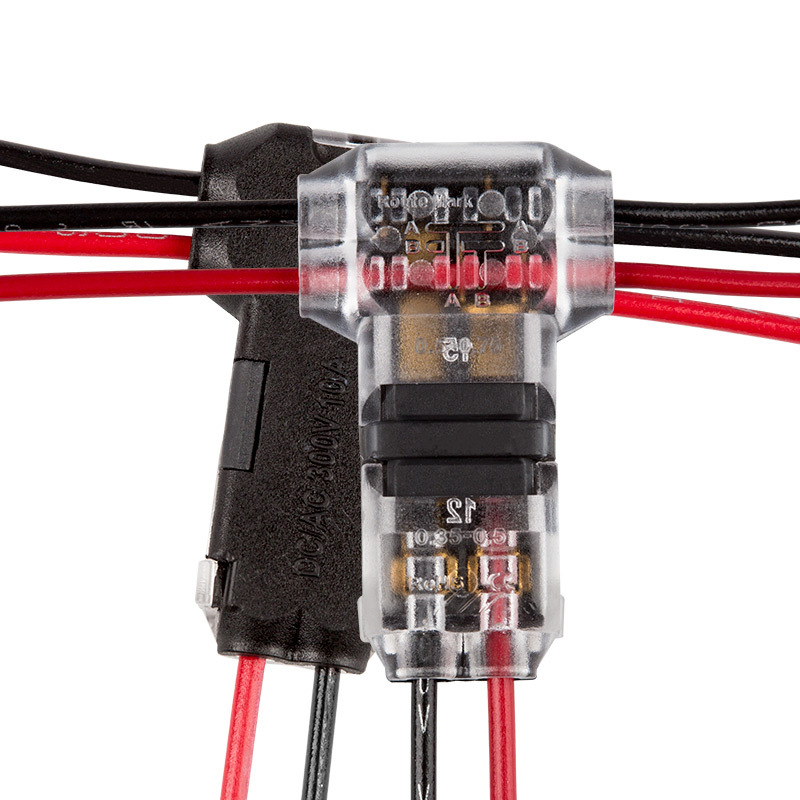 If you are using 20 gauge wires you will have no problem. Still, you should always make sure it locks. It's a good idea but the pins are weak and bend too easily they are also too short. They just have to be made of sturdier stuff.